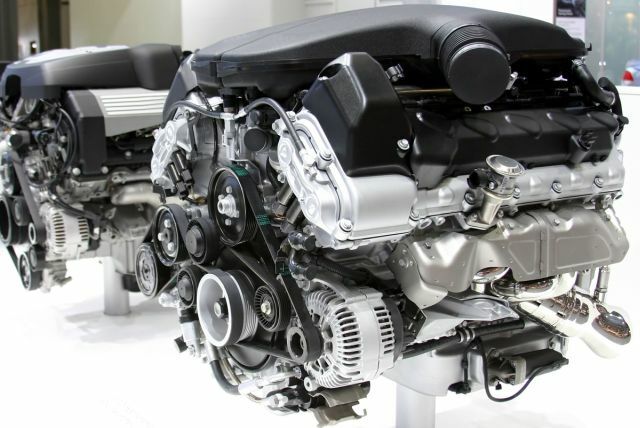 Engine Repair - Parker Automotive Inc.
Parker Automotive Inc. is the most trusted Engine Repair, Engine Replacement and Engine Overhaul facility in Parker, Colorado on all makes and models. As defined by Wikipedia, the internal combustion engine (which was created by Étienne Lenoir ) is 'an engine in which the combustion of a fuel (normally a fossil fuel) occurs with an oxidizer (usually air) in a combustion chamber'. Inside this type of engine, the gases that are produced by the combustion reaction begin to expand due to the increase in both pressure and temperature until they begin to apply force onto the components of the engine, thus making them move. Typically, the components of the engine to which this direct force is actually applied include the pistons, turbine blades or nozzle. The combustion reaction with an internal combustion engine is actually intermittent rather than creating a constant pressure. You may have seen this in action in one of the two or four-stroke piston engine which are commonly used in smaller engine driven ‘vehicles’ such as lawn mowers, snowmobiles and so on. You may also have seen the six-stroke piston engine or a Wankel rotary engine both of which are fairly common variants.